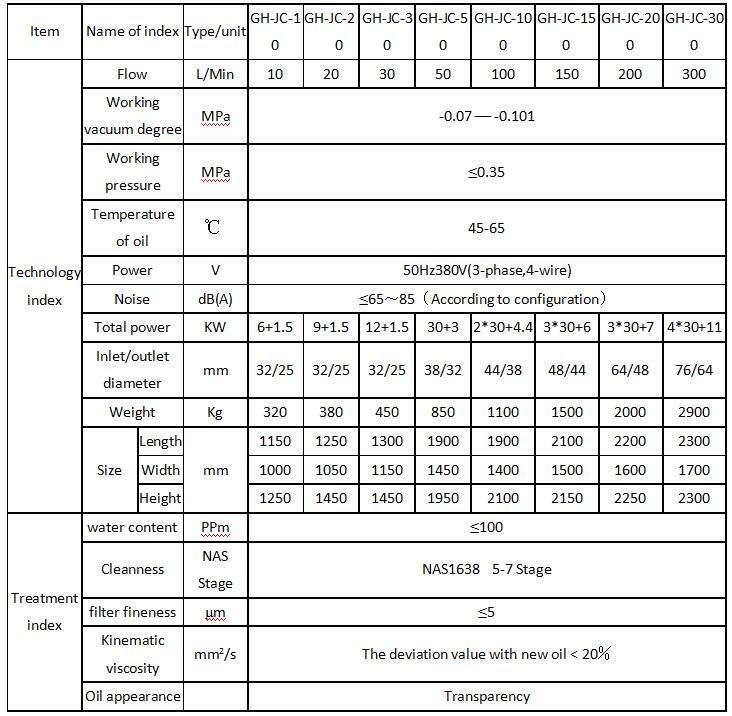 Turbine oil is also called the TSA steam turbine oil, according to the ISO viscosity grade is divided into 32, 46, 68, 100 several grade. The product is used for power units to treating the inferior turbine oil, especially the seriously emulsified turbine oil. The product takes the original anon-molecule purifying technology and gathers the dehydrate, degas impurities and break emulsification into one body. 1.Taking the advanced anon-molecule purifying technology. 2.Breaking emulsification thoroughly with high-molecule material. 3.Dehydrating very effectively with once and for two steps dehydrating methods. 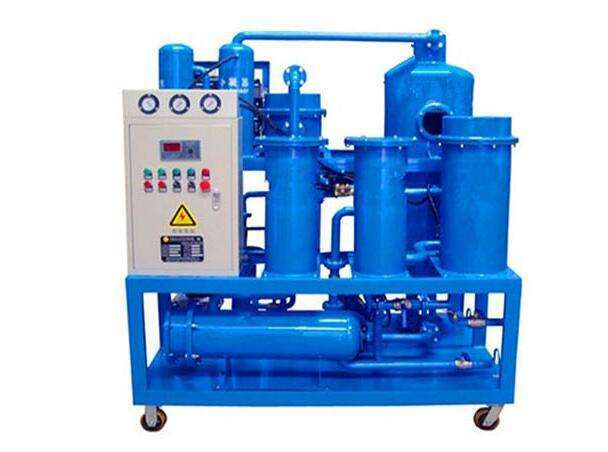 It can thoroughly dear away the liquid water, 100% free water and 80% dissolved water. 4.With distinctive removing impurities techniques filtering through double FH trapezoidal network and absorbing by high polymer material, this machine can make the β3equal or surpass 200 and make the cleanness lower grade 6(NAS1638). 5.With the trapezoidal, spiral, automatic back flushing system. 6.With the advanced dielectric condensation devices. 2. High efficiency in dehydrating and degassing: Adopting GeHang’s latest patented technology of three-dimensional evaporation degassing, dehydration system, the unique stainless steel folding of swirling separation tower, increasing the separation area makes the oil film. Built-in secondary evaporation inter-layer, plus a special vacuum packing, increase the oil film contact area, rapid moisture in the separation of oil and gas, efficiency is the several times of similar products. 5. Low density heating: The system adopts low density indirect cycle carbon fiber heating technology, put an end to produce acetylene gas oil cracking. Low energy consumption, uniform heating, the oil temperature is stable.